Typos can be introduced during the revision process or missed altogether. Let us ensure that your edited manuscript is clean—the last step before submission. 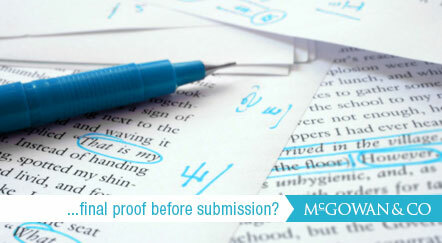 We will read proofs of edited manuscripts to check that the text adheres to the author’s alterations. We’ll check placement of tables, figures, illustrations, and page references, and verify accuracy of running heads, folios, and changes made to type. We’ll even check page breaks and page numbers in the table of contents and cross-references, and ensure that every punctuation mark and capital is consistent and in the proper place in your report, thesis, or dissertation.